Alessandra Mastronardi made her way to the red carpet this evening(January 7th) for the 75th Golden Globe Awards at The Beverly Hilton in Beverly Hills, CA. 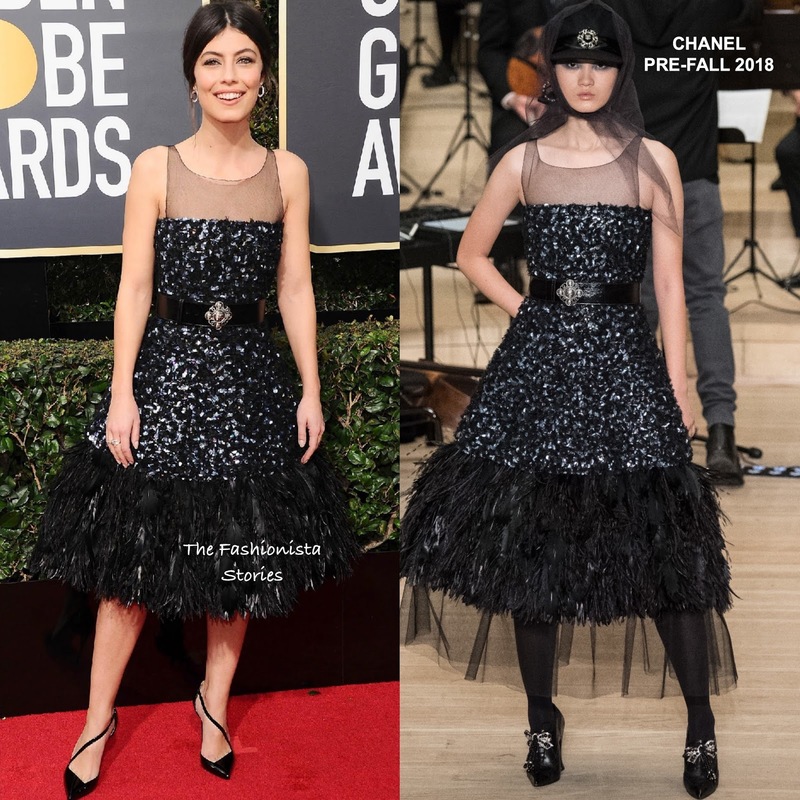 Turning to one of her go to designer brands, she wore a CHANEL PRE-FALL 2018 black beaded cocktail dress which featured a sheer sleeveless yoke, a belted waist and a feather hem. Beauty wise, she complimented her look with a center part ponytail and minimal make-up which topped off her look along with silver hoops and black crossover strap pumps.